The Eastern Idaho Grazing Association grazes cattle and sheep on 90,000 acres in the Blackfoot Mountains of Eastern Idaho. In the broad, sweeping valleys under the shadow of the Blackfoot Mountains in Eastern Idaho, sheep and cattle graze on lush grazing lands where trappers and explorers once found plentiful game and herds of buffalo. The same virtues that drew game herds to the area are paying dividends for the Eastern Idaho Grazing Association, a group of about 40 family cattle and sheep ranchers who collectively manage 90,000 acres of land in the area. The families run a total of approximately 6,000 head of cattle and 10,000 head of sheep in the rolling, grassy hills between Blackfoot, Idaho, and Blackfoot Reservoir, during the summer months. As time went on, grazing management improved and life was good. 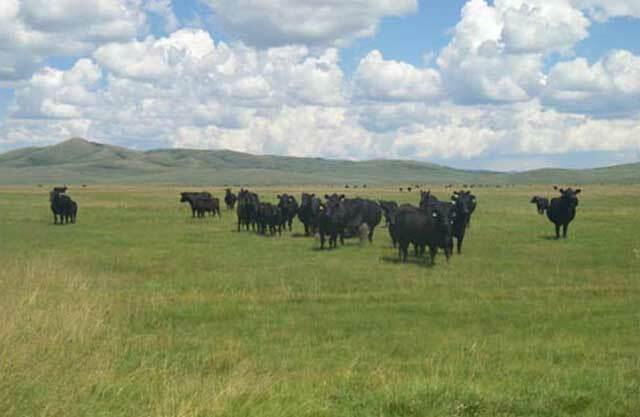 Nowadays, the grazing association pays great attention to range stewardship, using rest-rotation and deferred-rotation principles on its own grazing land and on Idaho State Endowment Land grazing leases, along with water developments and fencing. The attention to detail, combined with favorable weather — snowy winters and wet springs — have improved the range, Wixom says. About half of the association’s grazing land is comprised of state land grazing leases on 45,000 acres. Heath Hancock, a Resource Supervisor for the Idaho Department of Lands in Eastern Idaho, says the Eastern Idaho Grazing Association is an excellent lessee. 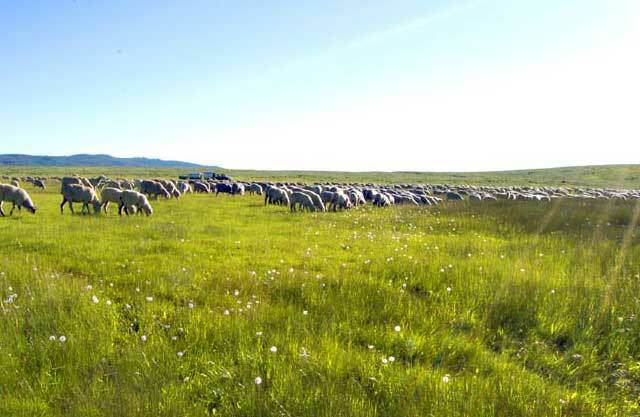 By running cattle and sheep on association grazing lands, ranchers can maximize the utlization of the range because cattle are mostly grass eaters. The Eastern Idaho Grazing Association is approved to consume about 18,000 animal unit months (AUMs) of forage on state lands, contributing $92,622 in grazing fees to the state endowment fund, which goes to public schools. State grazing fees were $5.13 in 2011. 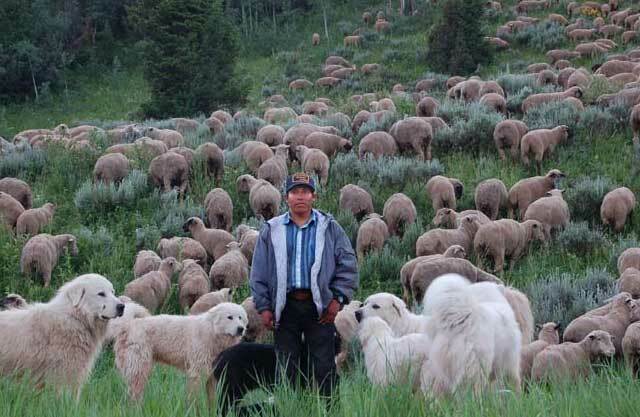 A unique aspect of the grazing association is that the ranching families run sheep and cattle on the same range. Even though sheep and cattle ranchers used to fight over grazing territory a century ago, ranchers in the Eastern Idaho Grazing Association say it’s beneficial to run both types of animals on the land. 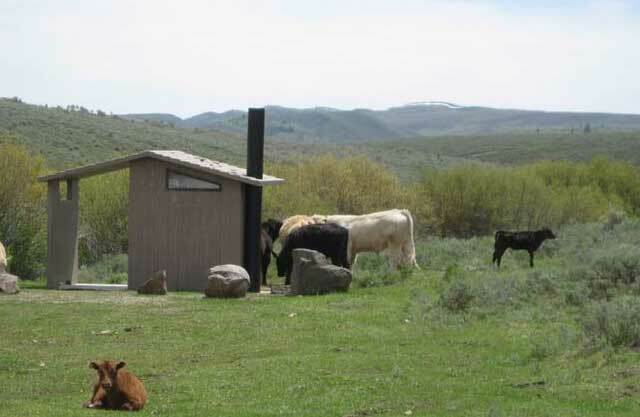 A new BLM fencing project keeps cows out of the recreation area, and an associated water development pipes water uphill so cattle can drink. The Bureau of Land Management manages about 5,000 acres of land along the Blackfoot River. The grazing association has been grazing in that area for nearly a century, but in more recent times, the BLM set up campgrounds and fishing access for the general public along the river. Over time, that has led to conflicts and complaints from recreationists about cattle intruding on recreation areas. It’s a good idea to carve out space for recreationists and anglers along the Blackfoot River because those activities are getting more popular all the time, says rancher Rich Reid. Above, a water tank and water pipe await hook up to complete the project. The BLM proposed a fix, in which the cattle would be fenced off from the Blackfoot River riparian area, and new water developments would pump water to cattle tanks several hundred feet above the river. 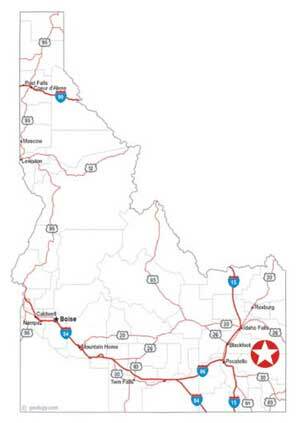 The agency spent about $200,000 putting the cooperative project together , including $75,000 from the Idaho Department of Environmental Quality for fencing and water project materials, and federal funds for cattle guards, water troughs, power generators and more. Ranchers will shoulder the cost of pumping the water uphill to cattle troughs on an ongoing basis. “We’re protecting the river from concentrated livestock use while improving the river bank and reducing the impact of cattle on recreationists,” says David Pacioretti, Field Manager of the BLM Pocatello Field Office. Rich Reid, owner of the TF Ranch and an association director, said it took the association a while to warm up to the BLM’s proposal. Ranchers didn’t like losing rangeland on which to graze cattle. The fencing project may improve streambank vegetation and create more shade along the banks for fish habitat, BLM officials said. The Blackfoot River is used primarily for irrigation by the Shoshone-Bannock Tribe, so there are no guarantees about any minimum flows for fish, officials said. Water developments are commonly used on grazing association lands. They have developed numerous watering holes for cattle and sheep, as well as 9 wells, along with pumps, generators and watering troughs, to keep cattle dispersed throughout the range. Gary Pratt of Pratt Livestock explains how it works by the Paradise grazing allotment. A well was drilled to fill two large cattle tanks with water on an ongoing basis, he says. Each tank holds about 8,000 gallons of water. A generator runs 24 hours a day to keep the water flowing. A gravity-flow pipe carries the water to cattle water troughs down-slope. Rancher Wendy Pratt recommends this handy guide for learning about what kind of habitat sage-grouse need to co-exist with livestock grazing. Wendy Pratt, the grazing assocation’s secretary who runs Pratt Livestock with her husband Gary, has been engaged in the sage-grouse issue to keep association directors apprised of discussions with state and federal agencies. She sits on the Eastern Idaho Local Working Group and she’s a member of the Idaho Statewide Sage-Grouse Advisory Committee. Sage-grouse numbers have been declining overall in the Intermountain West, and several environmental groups have petitioned the species for listing as an endangered species. So far, the federal government has declined to list the species, saying other species take higher priority. Little is known about sage-grouse populations in the Blackfoot Mountains, Wendy Pratt said, because the area is snow-bound during the springtime, when sage-grouse are mating on leks and are easiest to count. 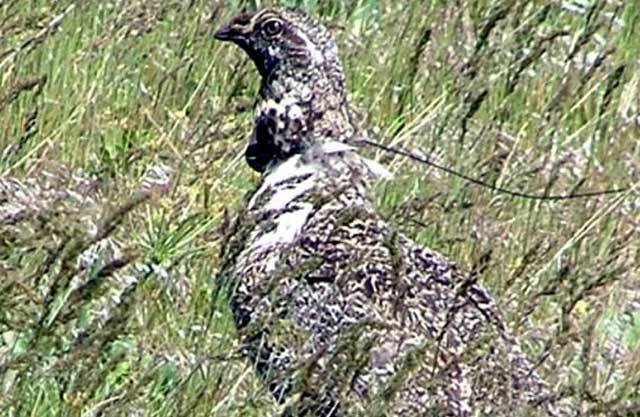 The Idaho Department of Fish and Game has taken aerial surveys to begin laying a baseline for local sage-grouse populations. No matter what they find, it’s good for ranchers to stay informed, she says. It helps sage-grouse to leave a cushion of grass under sage brush plants in the fall, so sage-grouse will have a place to nest and lay eggs in protected cover, Pratt notes. Sage-grouse feed on sagebrush in the winter, and in the summer, they like to eat forbs and wildflowers. “With those things in mind, we just begin this process of doing a better job of meeting their needs,” she says. 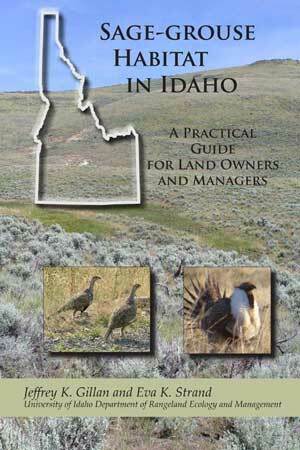 Pratt recommends a handy guide published by the University of Idaho that provides useful information for ranchers about sage-grouse habitat needs. The Idaho Rangeland Resource Commission has been involved in developing the guide and educating the public and ranchers about the issue. Sheep graze on spring browse on their way to the high country in May. In the meantime, Ken Wixom says the Eastern Idaho Grazing Association’s attention to good grazing management and land stewardship not only will help sage-grouse but it also leads to more feed for livestock, improved weight gains for cattle and sheep, and ultimately, more income for ranchers. “We’re producing more feed now than we ever have in our history,” Wixom says. “Our calves are coming off the range 200 pounds bigger than they used to be, and lambs have gone up from 80 pounds to 120 pounds, so the size of the livestock is great. Cattle prices are tremendous right now, and lambs are at historical highs, so the livestock industry looks really good for the next several years — very positive. Steve Stuebner is the writer and producer of Life on the Range, a public education project sponsored by the Idaho Rangeland Resource Commission.